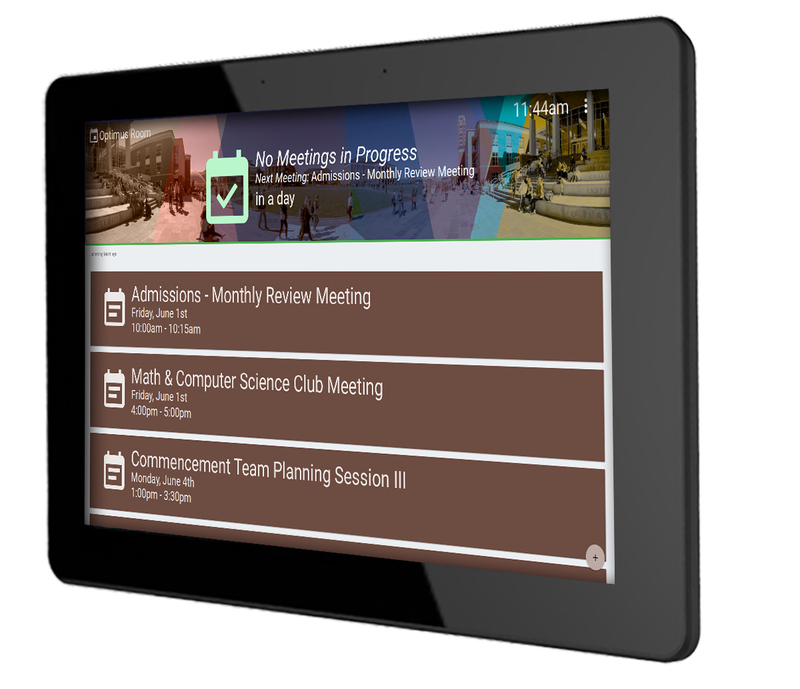 A seamless and effective way to manage your meeting rooms schedules. 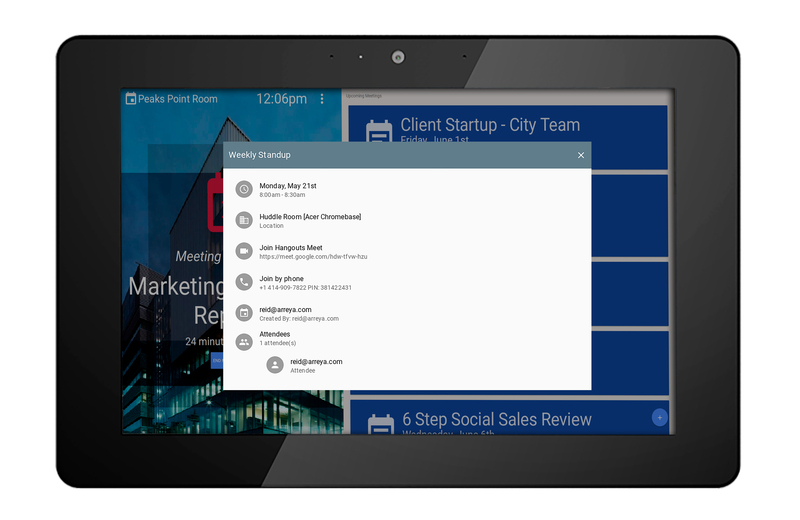 Arreya Rooms is an interactive meeting room sign manager for G Suite. 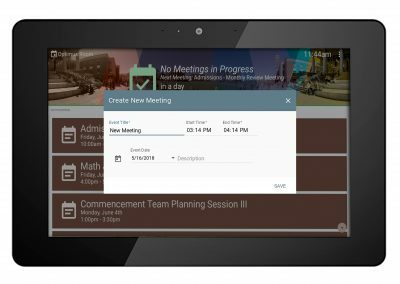 Arreya Rooms combines the ease of G Suite Calendars and Resources with the best of Chrome devices with Chrome Device Management for a complete meeting room solution. 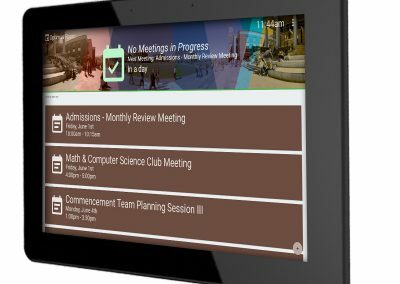 View room status, meeting details, add and remove events. Check-in, end the meeting early, or automatically cancel and leave the room open. 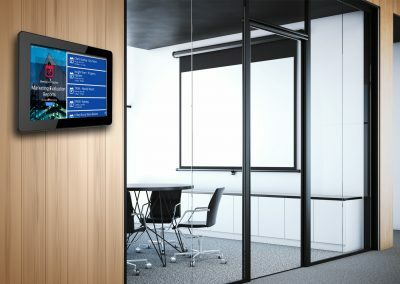 Pair Arreya Rooms with Arreya Digital Signage and manage all of your devices in once place. 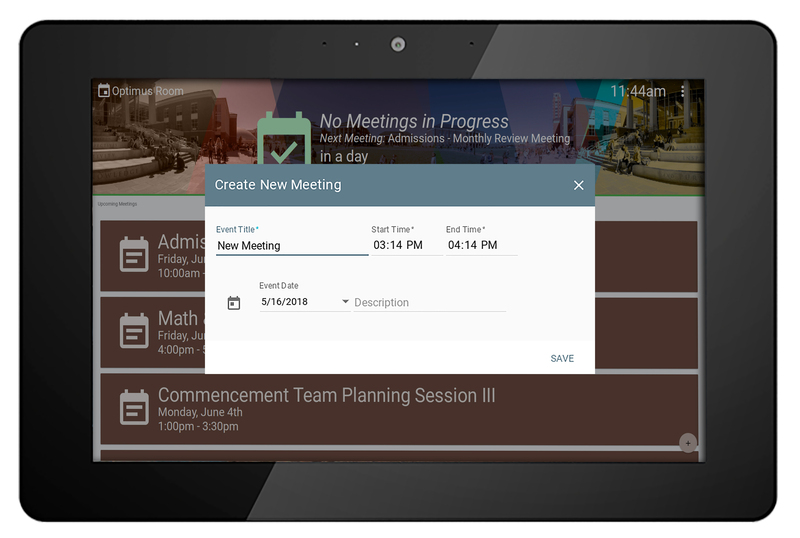 Works with Google resource calendars. Branding, background image, colors, text messages. Designed and built to operate on the world’s most popular system. 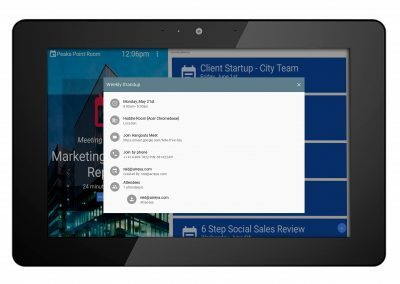 With security at its core you’ll have the flexibility to scale your meeting room signs quickly, while still maintaining admin control. Enables your team to collaborate and innovate together — from anywhere, in real time with G Suite resources. Just schedule a meeting for the room and it will appear on the signage. No messy duplicates or extra calendars, nothing new to learn. 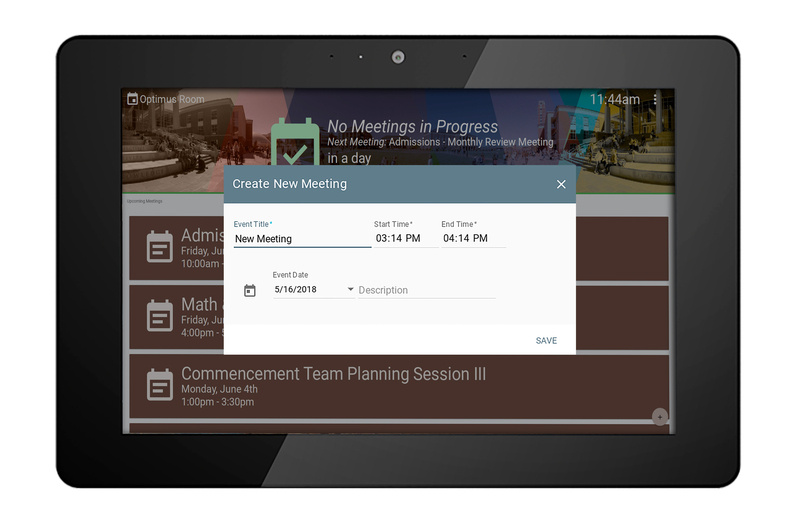 Plus a powerful fit with Hangouts Meet makes conferencing meeting rooms easier. Meeting Room Signs will be an IT breeze. 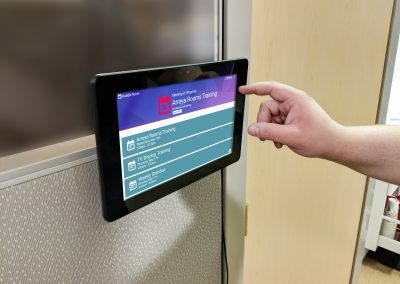 Arreya Rooms uses Google Chrome devices with Enterprise Device Management so you can remotely configure, monitor, and troubleshoot your devices. 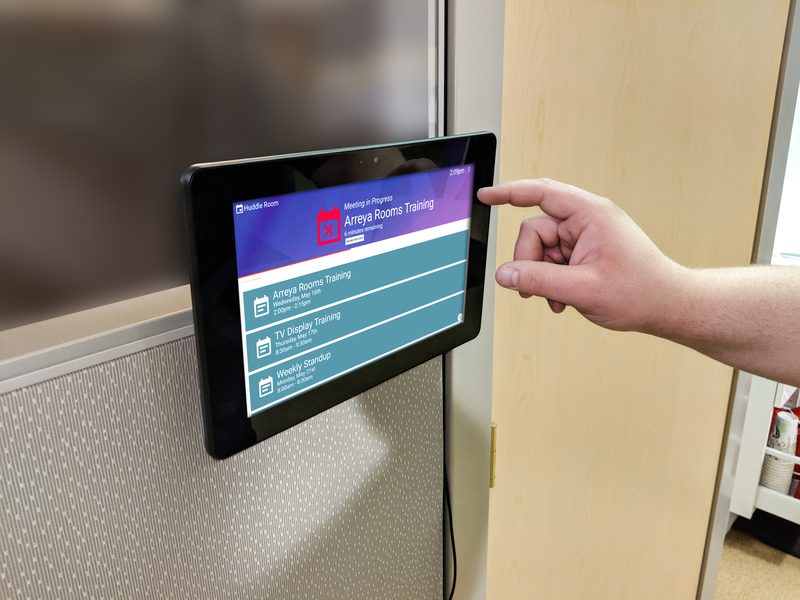 Automatic updates keep everything running smooth and our hands-off IT approach makes Arreya’s Meeting Room signs easy to deploy. 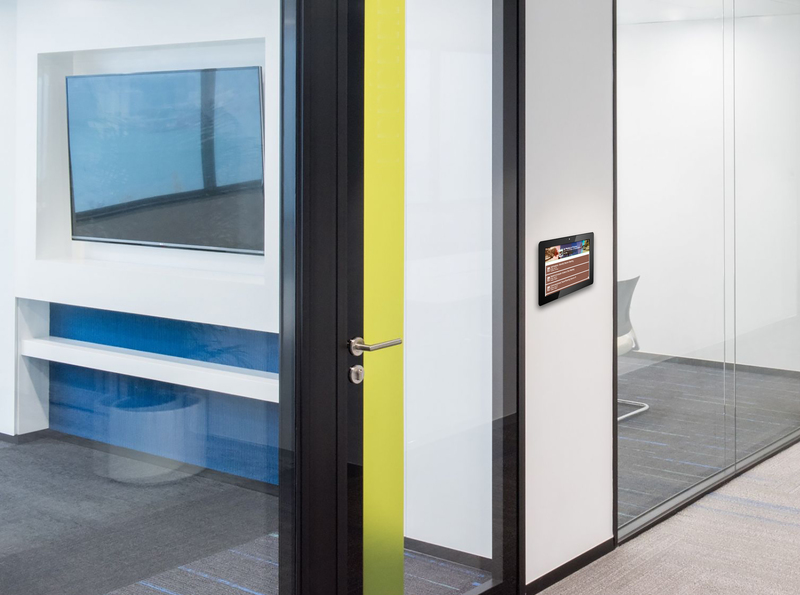 With the AOpen Chromebase Mini, Arreya Rooms can be mounted almost anywhere. On the wall by the door, on the conference room table, or at the front desk. 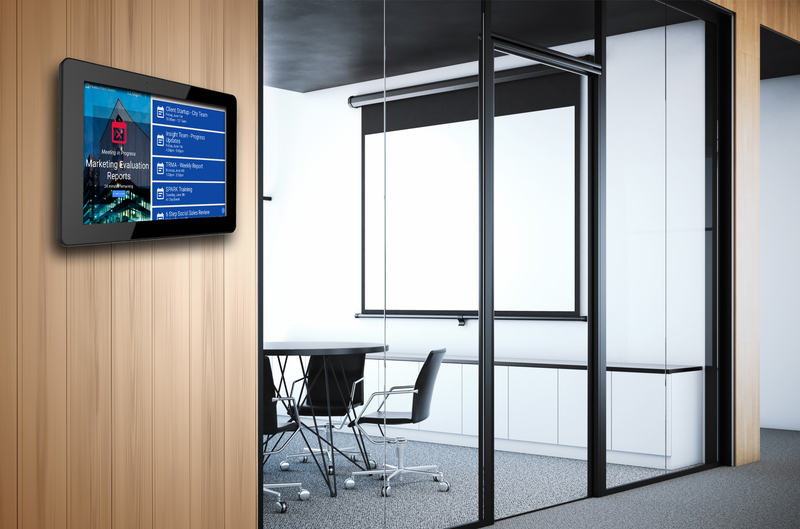 Add the optional recessed wall mount for a clean, professional look. Our hardware packages take out the guesswork and with White Glove Setup your meeting room signs arrives setup and ready to go out of the box. 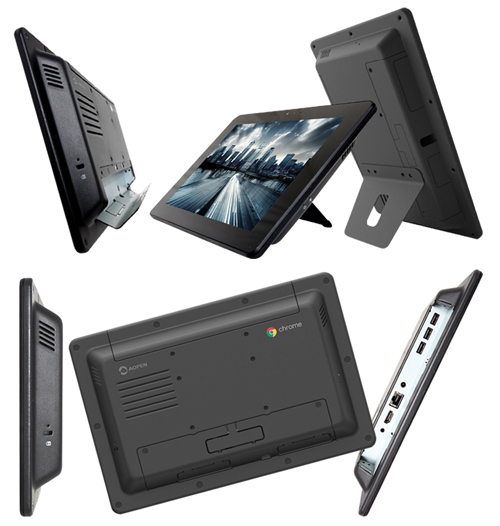 ● Interactive 10.1 inch all-in-one touchscreen solution. 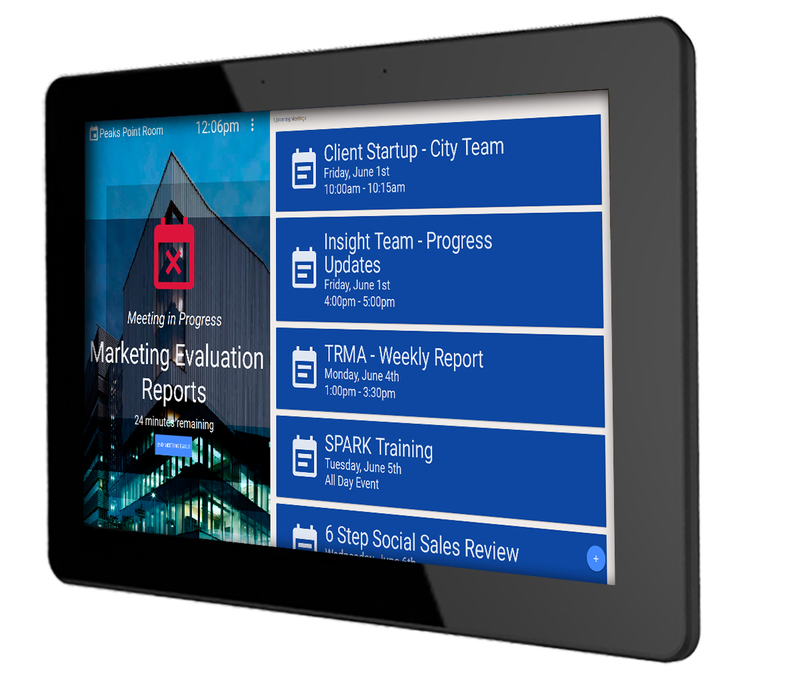 ● A commercial grade multi-touch, all-in-one solution. ● Tough and retail-hardened design, 24/7 operability in public spaces. ● High quality camera and speakers that meet Chrome video conference and Hangouts Requirements. ● Wide viewing angles in landscape and portrait. ● Multiple mounting options: recessed surfaces, walls and kiosks.